Research shows that physical, intellectual, social, vocational, emotional and spiritual wellness is the key to healthy aging and quality of life. Grace Ridge Retirement Community sums up this combination in two words: Good Moods. Our Good Moods wellness and events program fosters total well-being – mind, body and mood. 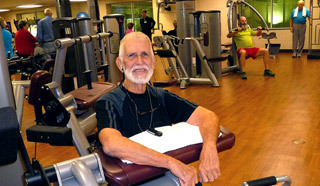 More than just a wellness program, every activity, program and event at Grace Ridge enhances at least one aspect over your overall well-being, so you can truly enjoy an active, fulfilled retirement lifestyle. Expand your mind through classes and lectures at our own Grace Ridge University. Or explore lifelong learning opportunities at Western Piedmont Community College, less than 5 miles away, at little or no cost to you! Test your culinary skills with a cooking class. Learn to row a canoe—or even build one. Step into the past with a history class, or just relax with a good book, your laptop or a crossword puzzle. When it comes to your wellbeing, emotional health is equally important as physical wellness. 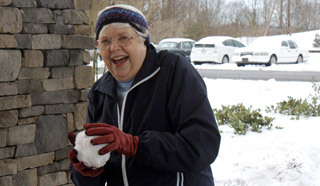 At Grace Ridge there are numerous opportunities for individual activities or involvement with clubs and groups. 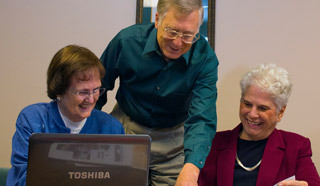 There are on-campus programs, spiritual fellowship, volunteer opportunities and more. Grace Ridge brings Good Moods and good friends together. Meet Gray, Betty and Betty Ann, members of the Good Moods at Grace Ridge family who enjoy an active life that focuses on mind, body and mood. Learn how Sharon chooses her own good mood – from traveling trips to happy hours.